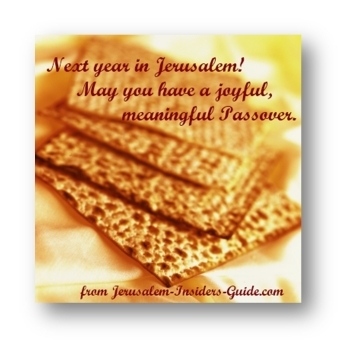 Passover is April 10 – April 18 this year. The Priestly Blessing will be recited at the Western Wall in Jerusalem on April 13, during morning services at around 8:45 (blessing around 9:30) and 10:15 a.m. (blessing around 10:30). published Vegan Start Passover Cookbook: Eat Well on Pesach! Check out the Jerusalem Scavenger Hunts – there are many of them to choose from, but they tend to fill up fast during Passover, so don't miss this opportunity to explore Jerusalem in a hands-on, fun and educational way. No matter how often or how long you've been here, a Jerusalem Scavenger Hunt will make you see our city in a whole new way. To find out more or make reservations, click here. You might also want to check out some of the kids' activities at the Bible Lands Museum, the Israel Museum or Ir David, the City of David, which is always a fascinating place for people of all ages. Summer will be here before we know it, so if you’re planning a trip to Jerusalem later this year, now is the time to book your hotel and discuss an itinerary with one of our tour guides. This is a free service that we consider a privilege to provide. Jewish tradition, however, teaches that prayer and charity, together, have the power to change Divine decrees. So please consider super-charging your prayer with a donation to our charity fund for disabled children in Jerusalem. Your donation, however small, would help provide much-needed services, therapy and medications for severely disabled children in Jerusalem, as well as food to help them enjoy the upcoming holiday. family. Safe journeys and may we see you soon, here, in Yerushalayim. Mom, Dad, I have something to say… In Hebrew! It's the first thing almost every baby says: the word for the man or woman who gave them life. It's such a basic word, but how do you say it in Hebrew? 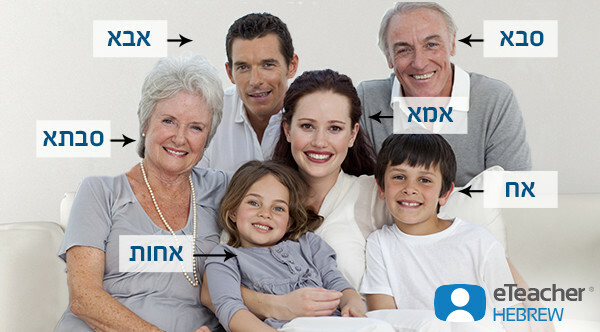 So, mother is "Ima" (אמא), and father is “Aba” (אבא). Easy, right? But what do you call your uncle? Or your aunt? Your sister, brother, grandfather or grandmother? Follow through to learn all about it!